The revised edition of this Charlton catalog now covers Caithness Glass Paperweights in chronological order from 1969 to 2004. Paperweights produced for the Caithness Glass Paperweight Collectors Society and those commissioned by businesses and museums are also included. Although he has now retired from Caithness Glass, Colin Terris was instrumental in revising the catalog for this second edition. 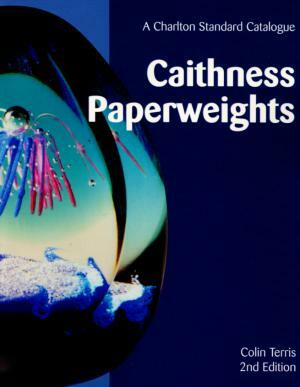 The first edition of Caithness Paperweights was issued in 1999 and is now out of print. The newly released second edition updates the listings to mid year - 2004. Over 475 weights have been added to the catalog, including some that were overlooked in the first edition. Over 2,800 weights are listed in all. All prices have been completely revised and updated to 2004. The revised pricing includes consideration of pricing in on line auctions. 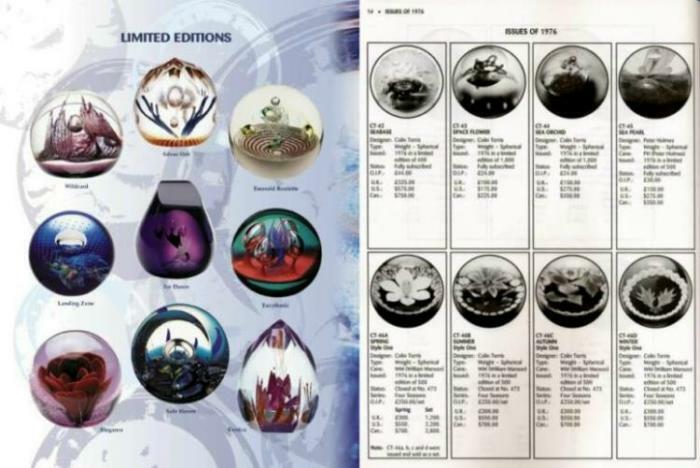 For each listing, there is an illustration, the name of the paperweight, designer, date of issue, edition size, status, original issue price and current value. Information regarding designers, tips on building a collection, and information sources about Caithness and paperweights in general are also included. This important reference is indispensable to anyone interest in collecting Caithness paperweights. 432 pages in all including 10 introductory text pages. Thousands of black and white photographs plus 32 pages in color. Includes an alphabetical index. Soft bound. 7" by 9". 2004. Click on the picture to see a couple of pages from the book.